The Perkins School of Theology at Southern Methodist University has announced that Bliss Dodd has been selected as the 2014 Woodrow B. Seals Laity Award recipient. Bliss is a member of First United Methodist Church, Fort Worth. She will receive the Seals Award at a noon luncheon Saturday, March 8, during the three-day Perkins Theological School for the Laity. The Seals Award is presented annually to laypersons in the United States who embody the Christian faith and commitment of service to Christ in the church, community, and world as exemplified by Judge Woodrow B. Seals, a distinguished layperson whose interest and energy were instrumental in establishing the Perkins Theological School for the Laity. Selection for the award is made by a committee of the Perkins Lay Advisory Board. Of course, Bliss’ commitment to service and dedication to the CTC’s mission of making disciples of Jesus Christ for the transformation of the world is no secret to those in the Central Texas Conference. She has been an active layperson for many years at First United Methodist Church, Fort Worth. In addition to a wide variety of leadership responsibilities in the local church, she has served at the district and conference levels, including chairing a committee on mental health education and issues, a task for which she was ideally suited because of her professional experience as Special Education Director for the Hurst-Euless-Bedford School District. In 2012, Bliss was named as the 2012 Morris Walker Award winner, given by the Conference Board of Laity to those who demonstrate "above and beyond" service to their local church, community and conference. Her service also extends beyond the borders of the conference as she has been a representative to several South Central Jurisdictional Conferences and three successive General Conferences. Perkins Theological School for the Laity, scheduled this year for March 6–8, is supported by the Howard-Holbert Endowment Fund. The fund was established in 1986 in honor of the late Dr. Virgil P. Howard, who was associate director of the Perkins Intern Program and professor of Supervised Ministry; and Dr. John C. Holbert, who served as Lois Craddock Perkins Professor of Homiletics at Perkins School of Theology from 1997 until his retirement in 2012. To register in advance for the luncheon, call 214.768.2251 214.768.2251 or you may register online. The luncheon will be held in the Great Hall of Elizabeth Perkins Prothro Hall on the campus of SMU. For a map of the SMU campus, visit smu.edu/maps. 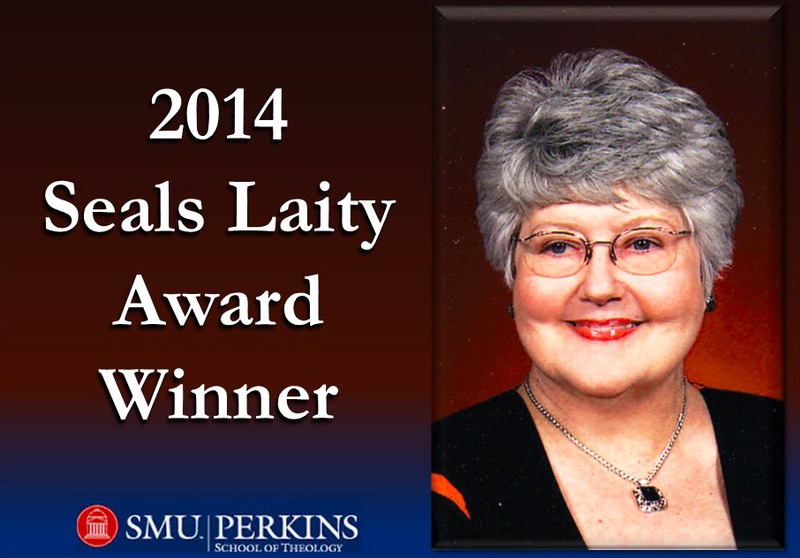 For more information about the Perkins Theological School for the Laity, contact Rev. Gary MacDonald, Director of Advanced Ministerial Studies at Perkins, AdvanceMinistry@smu.edu, 1.888.THEOLOGY 1.888.THEOLOGY (ext. 4). For more information about the Seals Award, contact Rev. Connie Nelson, Director of Public Affairs and Alumni Relations at Perkins, clnelson@smu.edu, 214.768.2335 214.768.2335.